Anne Bresard is a school librarian who teaches in Grande Bastide, a middle school of Marseille. She is also the contact person for digital issues in the school. 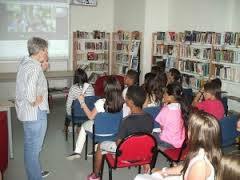 Since 2005, she has been involved in the exchange projects with schools in Alexandria that have been possible through the implementation of digital technology using chat meetings named « Clavardages » that happened through the school year. Over the past severalyears, you have been interested in the role of technology in education. Can you explain what is the digital advisor’s role in schools ? Each school should have its own digital component. The digital advisor gives life to technology in schools, on a daily basis. Even if names have been changing (« cotice », « conum »…), digital advisor has been operating for over 10 years. His role is to help the principal to establish the school digital policy and to make choices. He selects the acquisition in digital resources and equipment and ensures that information about digital literacy is disseminated in the schools and potentialy offers training session to his colleagues. He also works with computer technical assistants. Beside that, he enlivens a digital board in the school with the involved teachers, and the principal of the school. Furthermore, when I attend meetings of the Bassin (with the other digital advisors), I write a report for my colleagues and the management team. In Grande Bastide, we depend on the Basin of East Marseille : drive by 3 colleagues who keep us informed of the texts that are published and then we made a pooling of work, reflection. For now, the organisation is still pyramidal. We receive information that we provide to the teachers in the school. So far, I have never seen a case where projects were initiated between digital advisors, which means between schools. Since you took this position, have you noticed changes in the way technology is utilized in education ? Yes, very much. As soon as I arrived to Marseille, in 2004, I committed in this system, that sounded really interesting. 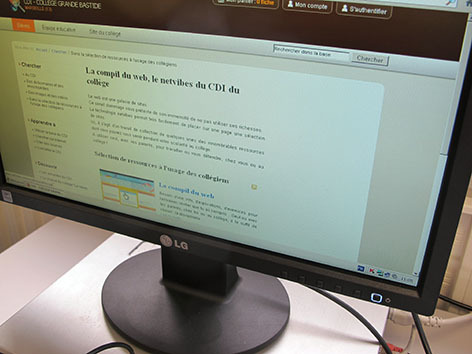 It was the beginning of « ordina13 », a project led by Conseil Général des Bouches du Rhône (the local political institution) to reduce the digital divide. The flagship measure was to give laptops to all the students that were entering the third year (13-14 years old). At that time, questions were related to the use of computers. In the beginning, students came at schools with their laptops which makes a lot of problems in network management and confidentiality of data. In the library, they were chating through computers and I could only see screen backs. That is why, I immediately prohibited this use. Discussions were also about digital resources, with the project « Courdécol » or digital equipment, like the use of interactive whiteboard at school. The second step was about copyright. Many teachers were not familiar with the legislation. They considered Internet as an area of total freedom. They retrieved information and images on internet and never quoted the source. To give an example, regarding photocopies, you should know that the concept of “educational exception” is the result of agreements between the government and publishing houses. These are agreements that have been slow to negotiate, this right does not apply to textbooks that are themselves teaching tools. 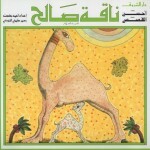 Another issue is about students pictures. The latest academic newsletter strongly discouraged the publication of student photo or student work on the school website. Many teachers have a lack of understanding regarding the importance of personal data. Then we questioned the concept of digital policy for a school. How can we stimulate this policy ? What general lines are emerging from all the little actions that were carried out ? The issue was to identify priorities : do we choose to provide the classrooms with more digital equipment ? Are we going to improve the computer room ? to buy more video projectors ? Who need equipment ? Which equipment ? For what purpose ? The school policy is crucial and requires time for consultation. It implies that teachers want to get involved in a constructive process of reflection, supported by the principal. We found the solution of moving carts. The initial statement was that the computer room was not sufficient to meet all the school needs, but we couldn’t provide each classroom with computers. 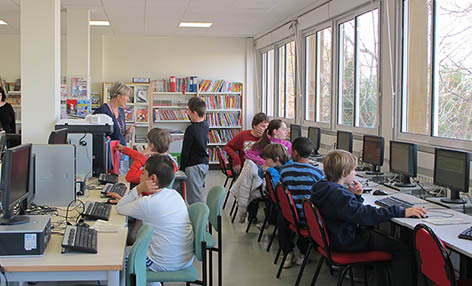 The Conseil Général offered the possibility for the schools that requested, to be equipied with big carts with 30 or 15 laptops (one computer for 2 students). Our school is equiped with 3 mobile carts : one for each building. The pupil is not moving anymore to the computer, the computer is moving to the students, and a laptop gives the ability to take notes digitaly as well as on a sheet of paper. The only problem is that the machine is still fragile. 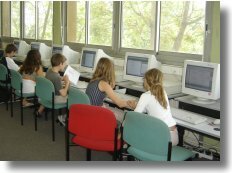 Do you think that education authority take the issues of digital literacy, access to resources, documentation and digital practice better into account ? Over the past few years the academic dean’s priority has been given first to the fight against early school dropout and the promotion of cultural and international openness. They are key priorities and digital tools are major tools to implement them. I think that the priority will still be given to the basic knowledge : how to read, write and express yourself. Language is the first academic center point. Then comes the digital literacy. What do you think of the idea of including programing knowledge in the basic knowledge like reading, writing, counting and coding ? To me, learning how to code is not a priority. The code can be a very sofisticated language. Education should still focus oncorrect learning of the French language. For instance, students should be encouraged to use the spelling checker. What is important is to understand the philosophical background of digital tools and their role in our civilization and to ask the right questions. What is it used for ? How can we use it ? By contrast, in technology classes, students study the source tree, which means the basis for computing, and this is interesting. The meetings of L’Orme is an annual gathering of digital technology in education, with national and regional vocation. In 2015, what aspects seemed most interesting to you ? This year, I was very interested in tangible accomplishments. For example, in Gardanne they conducted a large project in connection with the heritage, via google map. It is a project between the primary school and the middle school with the General Council and the municipality of Gardanne. On the map, they inserted written and audio information to indicate historical places: former train station, old mill. There was also a class who used the timeline in history class to sort events on a virtual chronological timeline. Do you encounter changes in the ways students have used technology since the use of digital techniques increased ? Many students still face difficulties in dealing with information on the screen. Those with whom we have worked have understood the importance of the notion of copyright. However, they have enormous difficulty finding information on the screen. There is no emphasis on information, they are lost and they cannot see the tabs, the design. For surfing the internet, you need to understand the structure and to find your way in the content. Behind the appearance of attractiveness and easiness, web browsing is demanding. Internet offers different directions of reading from the usual « left to right ». In books, and especially in textbooks, the information is organised. Internet is interesting when you have general knowledge and you ask a specific question. For example, many have not grasped the meaning of the action “save a document.” They confuse the name of the document, the file format and do not know what is the desktop. To understand the way the students think, you have to spend time with them and ask questions, because they often do not dare to ask questions. For weaker students, we give very simple instructions, like finding in the page certain photo or information. I warn my colleagues who ask their students to make a presentation by searching the internet, and then complain about « copy paste ». When students gather information on a subject, and are asked to re write, they paraphrase. To help them deconstructing, I added intermediate instructions : identify key words, delete the remaining text, organize the ideas from selected words. And only then they will begin to write. What is certains is that there is a lack of French classes. - Défi lecture blog, not fed any more. For 9 years the blog has highlighted the student exchanges between Grande Bastide and schools in Alexandria. Share the post "Digital literacy in education"